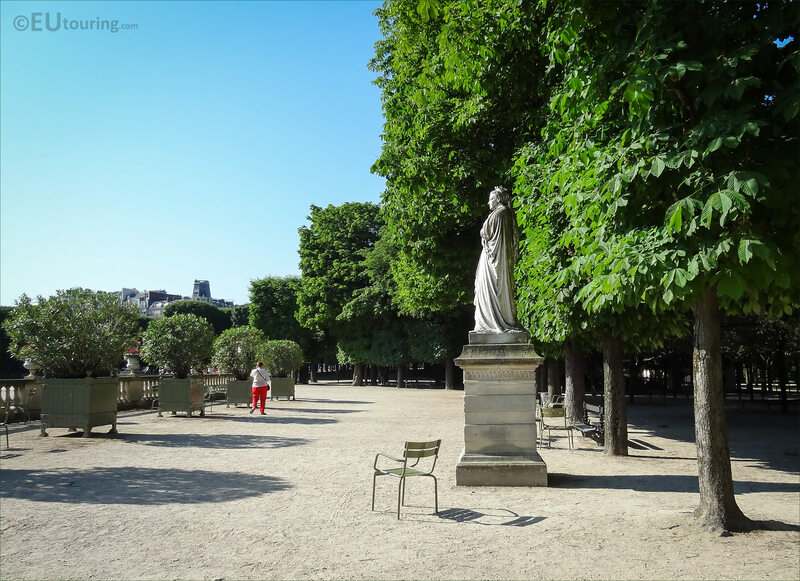 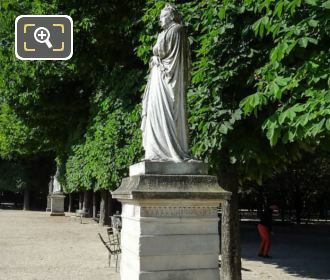 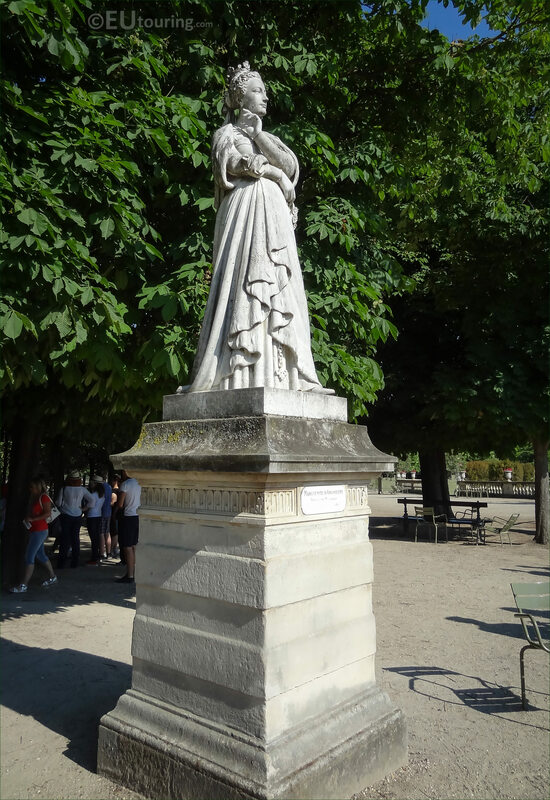 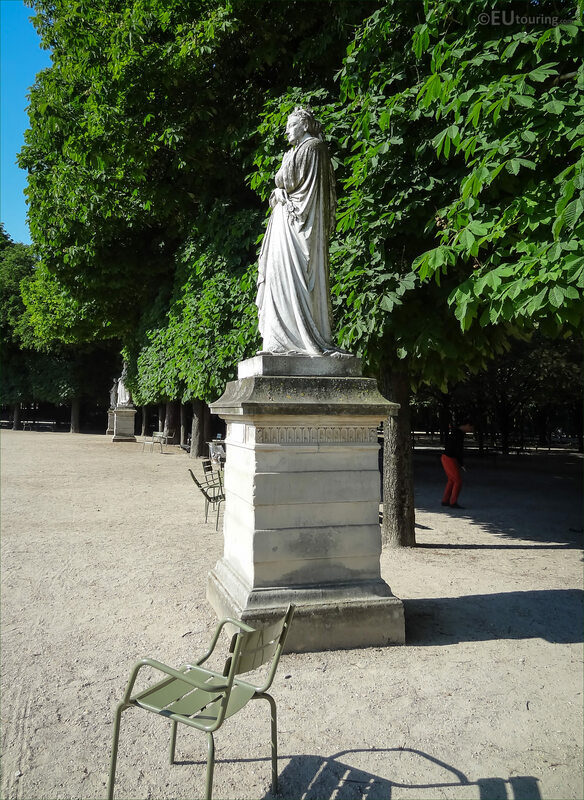 This time while we were within the Jardin du Luxembourg, which is located in the 6th Arrondissement of Paris, we took these high definition photos showing the statue of Marguerite d'Angouleme, Queen of Navarre, by Joseph Stanislas Lescorne. 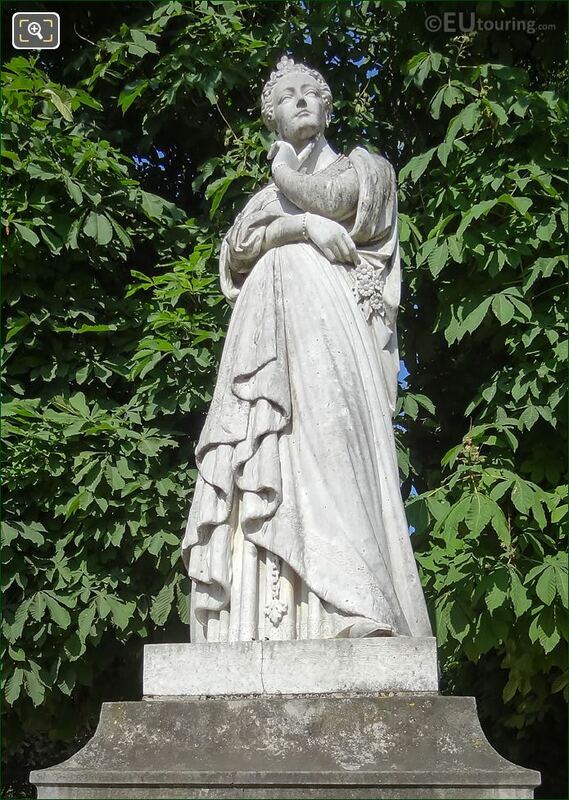 This first HD photo shows the marble statue of Marguerite d'Angouleme that stands at a height of 2.30 metres and is positioned on a stone base, and this is one of the series of statues called the Reines de France et Femmes Illustres, which translates in English to Queens of France and Famous Women, who were chosen by King Louis Philippe I. 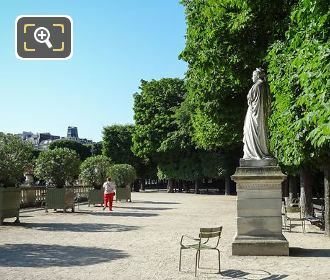 And these statues were commissioned to go on the terraces of the jardin du Luxemourg, looking out towards the formal central garden area with the grand bassin or pool, and this particular statue of Marguerite d'Angouleme is on the western terrace, which is to the left if you are looking in the direction of the Palais du Luxembourg, which is home to the French Senate, yet another popular tourist attraction in the same public park. 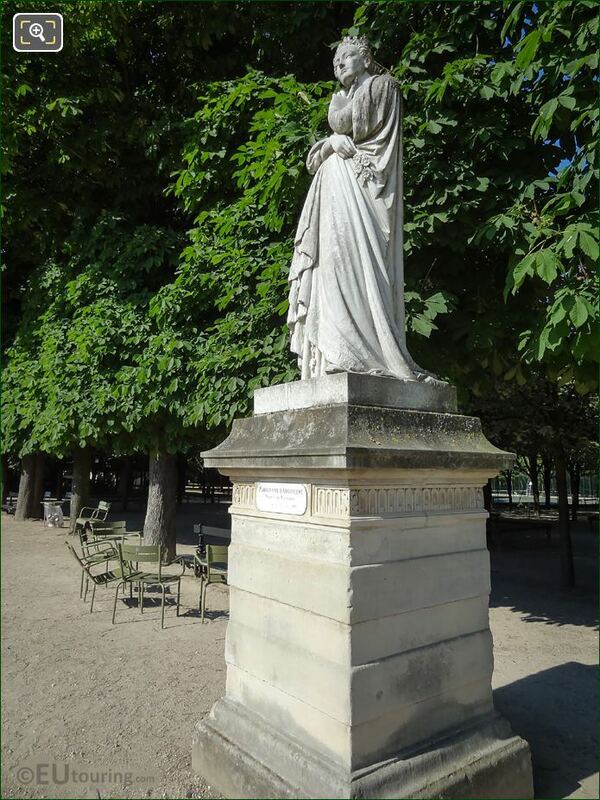 So, it was back on the 18th February 1845 by virtue of a ministerial decree that the marble statue was commissioned for the sum of 12,000 French Francs to the artist Joseph Stanislas Lescorne, who was born in 1790, yet his name is sometimes spelt Joseph Stanislaus Lescornel. Now this next photo shows a close view of the marble statue depicting Marguerite d'Angouleme, who is also known as Margaret of Navarre, and she was born in April 1492, and it was her brother Francois I that became King of France. 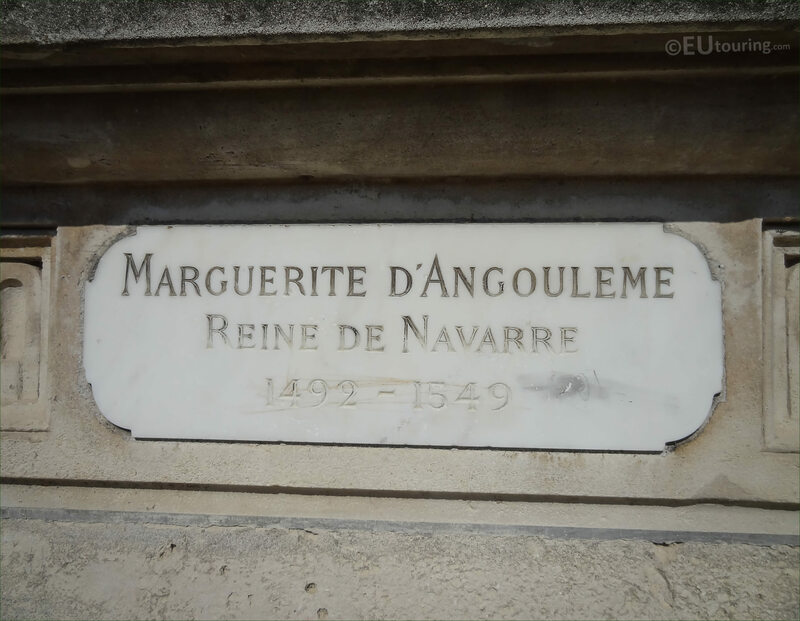 Marguerite was initially forced to marry to Charles IV of Alencon for political reasons, yet compared to her upbringing and education including learning Latin, he was virtually illiterate, yet he die in 1525, and after this Margaret then married Henry II of Navarre, and hence why she is known as Queen of Navarre. 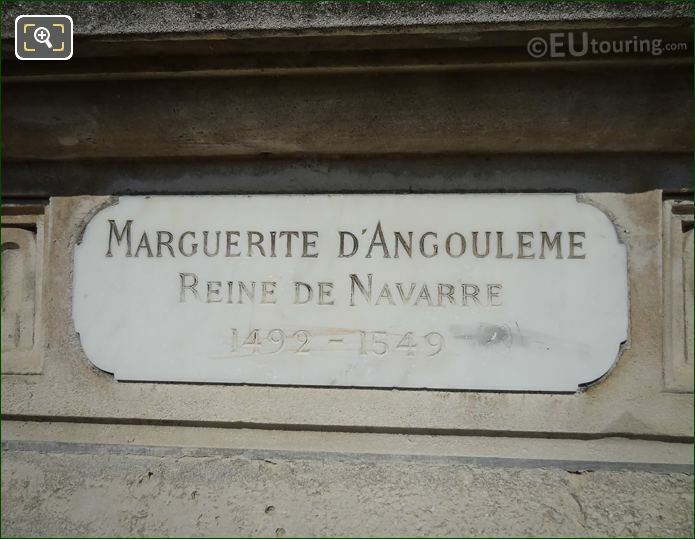 Marguerite was also considered one of the most intellectual women of her time and a patron of the arts, writing her own poems and plays prior to passing away in December 1449, as you can see from the close up HD photo here showing the plaque located on the base of the statue. 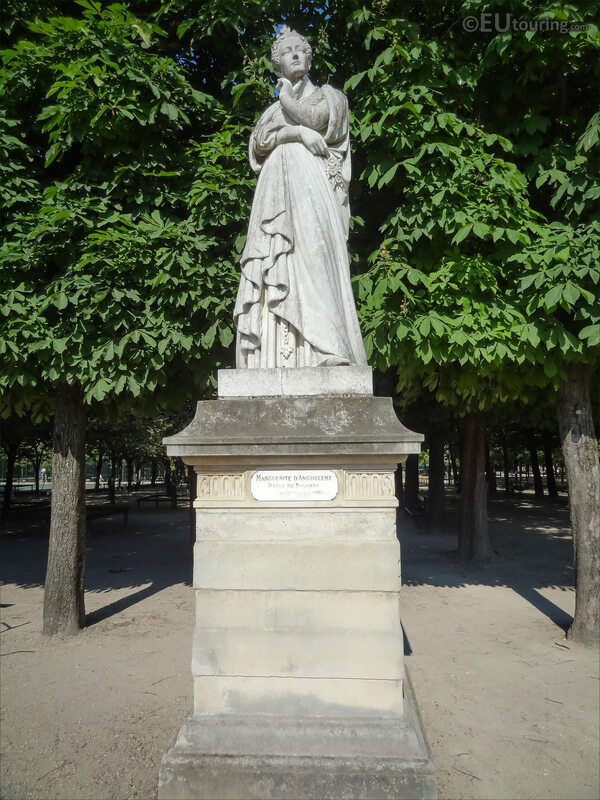 Yet apart from being intellectual, the Queen of Navarre was also classed as kind, helpful, and one of the most influential women in France, who even negotiated the release of her brother after Francois I was captured by the Spanish. And during her second marriage she gave birth to a daughter by Henry II, who would become the future Jeanne III of Navarre, and Jeanne became the mother of the future Henry IV of France, hence Marguerite d'Angouleme was the ancestress of the Bourbon Kings of France.